The Atlas of Historical County Boundaries is a project of the William Scholl Center for American History and Culture at The Newberry Library in Chicago. It is a powerful historical research and reference tool in electronic form. The maps are interactive and show county border changes. The Atlas of Historical County Boundaries presents in maps and text complete data about the creation and all subsequent changes (dated to the day) in the size, shape, and location of every county in the fifty United States and the District of Columbia. The principle sources for the data are the session laws of the colonies, territories, and states that created the counties. The Atlas is intended to be a resource for people seeking records of past events. It is also useful for people who are trying to analyze, interpret and display county-based historical data (like returns of elections and censuses). After you have made your selection, there are several ways to use Atlas. The maps are interactive. You can pan the map by using your mouse to drag the map. Or, you can use the arrow keys on your keyboard to do the same thing. You can zoom in (or out) of the map by clicking on the + or – buttons on the map. You can also view the map in full screen and print it out. 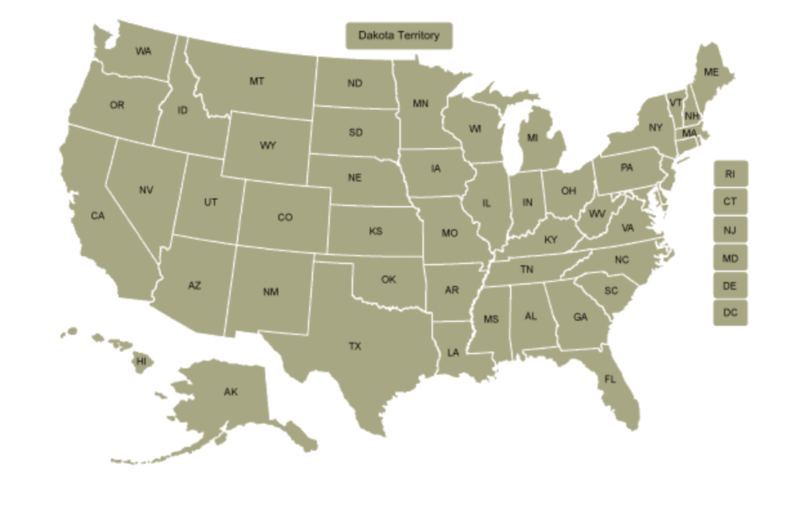 * All boundary changes in states and counties – unrivaled historical and geographic coverage. * Non-county areas – never before compiled or mapped. * Attachments to operational counties (non-county areas and unorganized counties) – never before compiled or mapped. * Based on original research in primary sources – unlike most reference works. * Primary sources cited for every change – unmatched documentation. * Information organized by both date and county – unmatched flexibility. * Area (sq. mi.) for each county configuration – available nowhere else. * Polygons available in two formats: shapefiles and KMZ-broad applicability. * Short and Long metadata documents for each state dataset – convenience and completeness.